Yes! It's true! 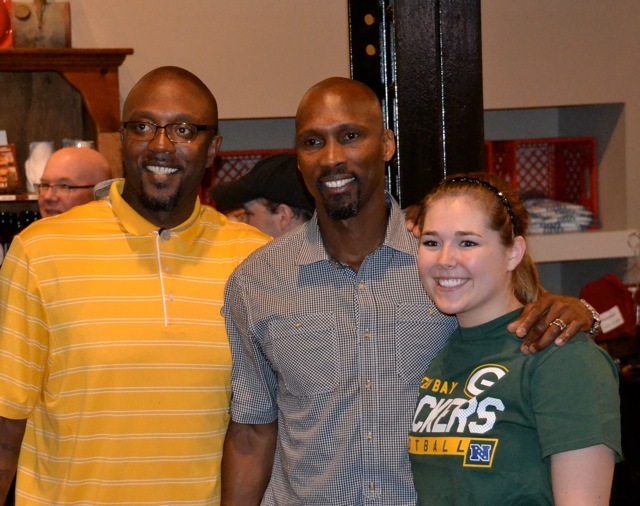 Each year, the Green Bay Packers organization selects 4 cities to fund raise for a non-profit organization. This year, The Iowa County Humane Society was selected in our area, and the event proved to be very successful. The event on Sunday, June 19 featured a VIP Q&A session, which included 3 alumni, 3 current players, and management staff including Mark Murphy. A luncheon was followed by an autograph/picture session with the general public. The evening was topped off with a stop for dinner at Bob's. 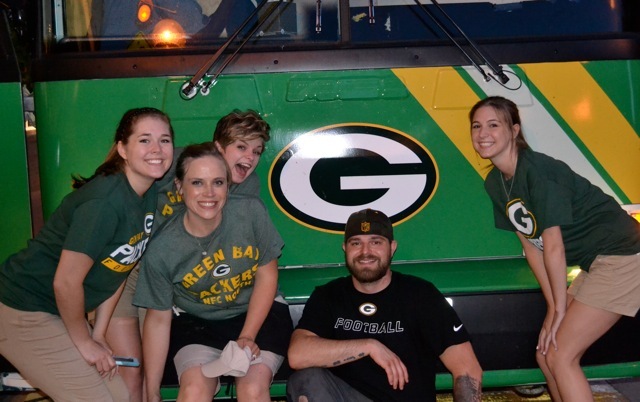 Needless to say, our staff was delighted to meet and serve the players and staff from the Packer organization... As well as the last of our Father's Day customers– what a treat for them! The whole day was a real score for the entire community!